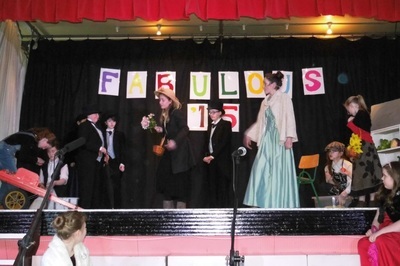 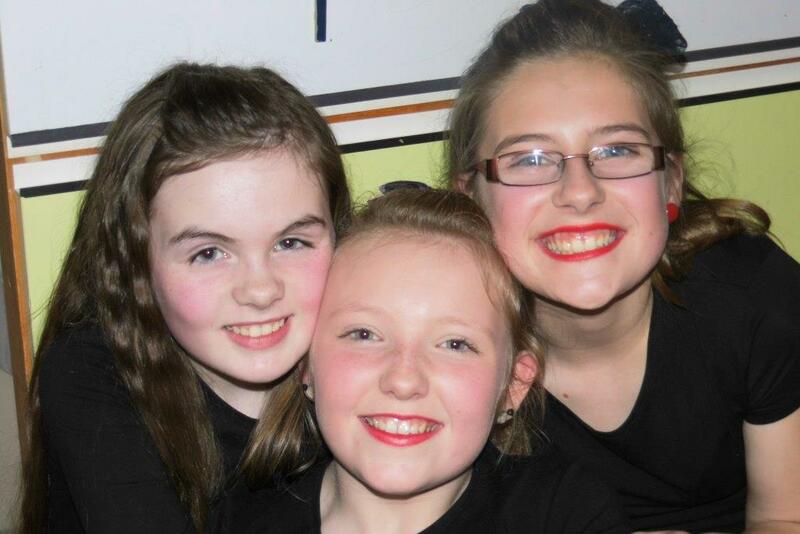 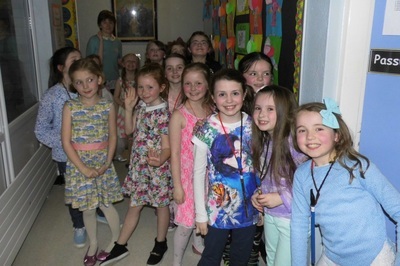 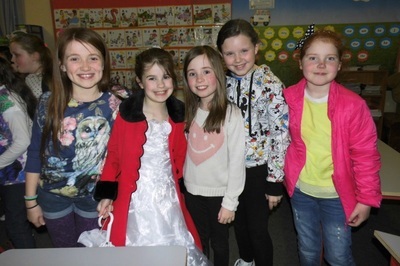 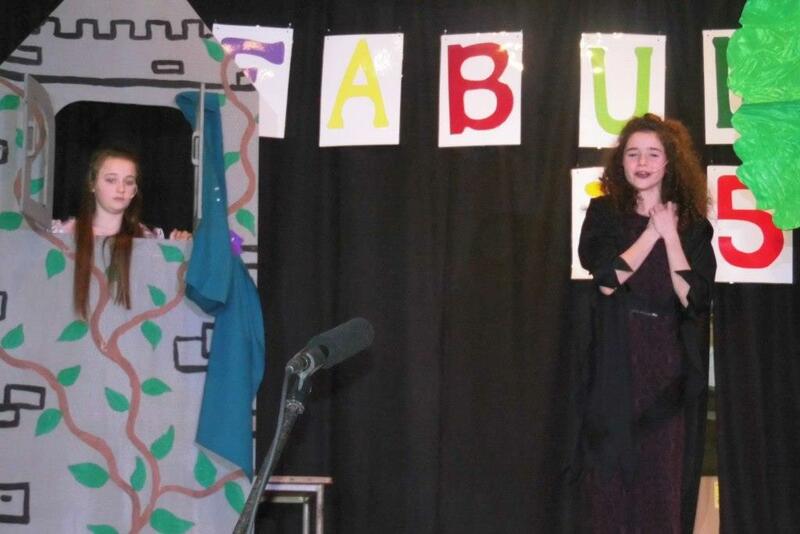 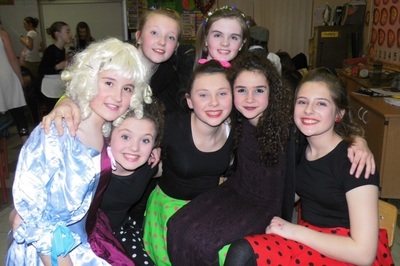 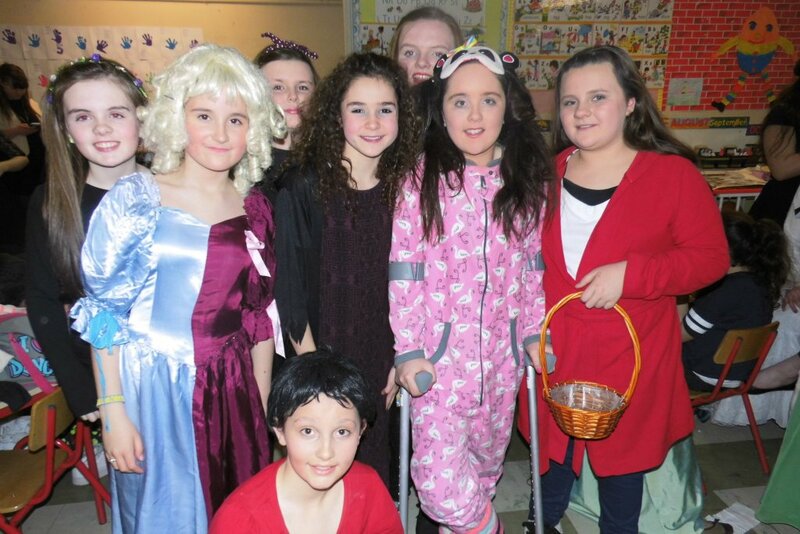 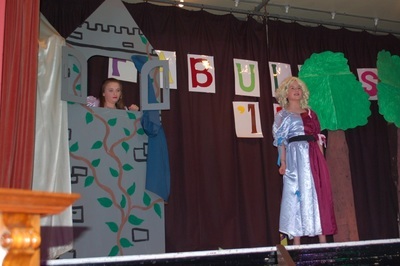 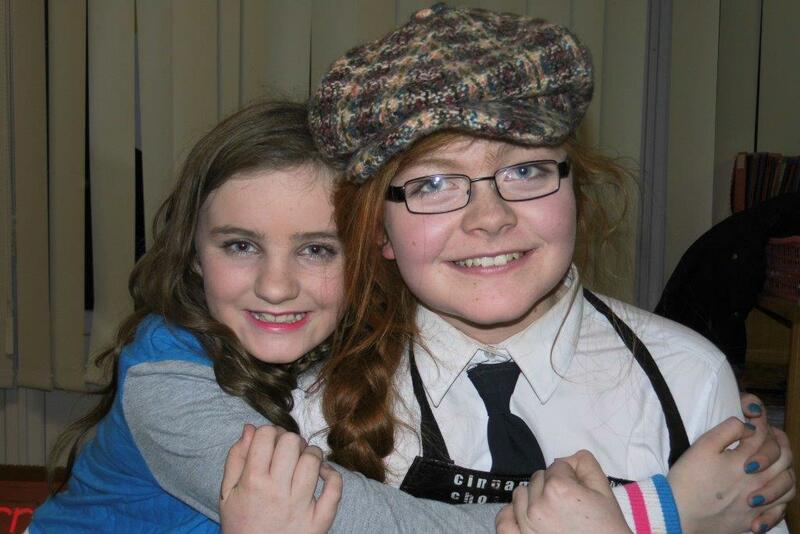 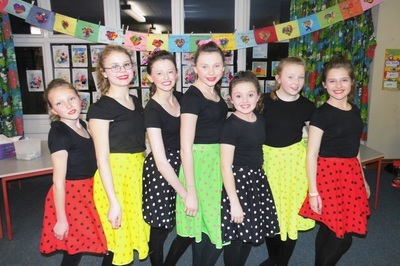 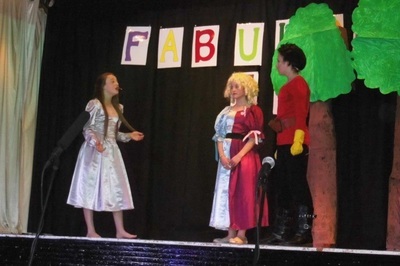 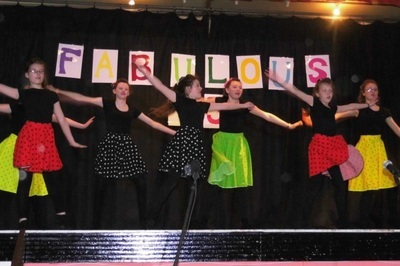 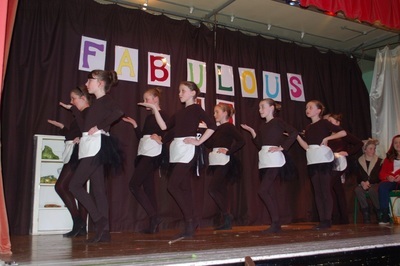 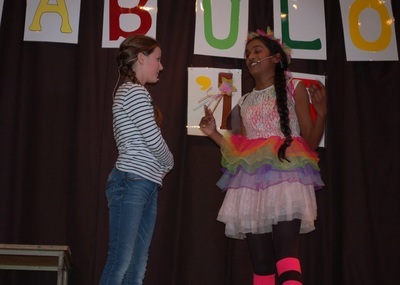 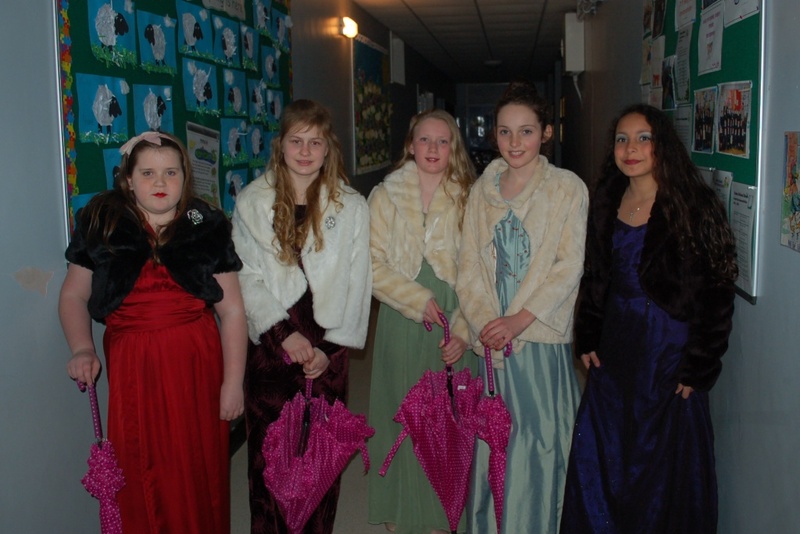 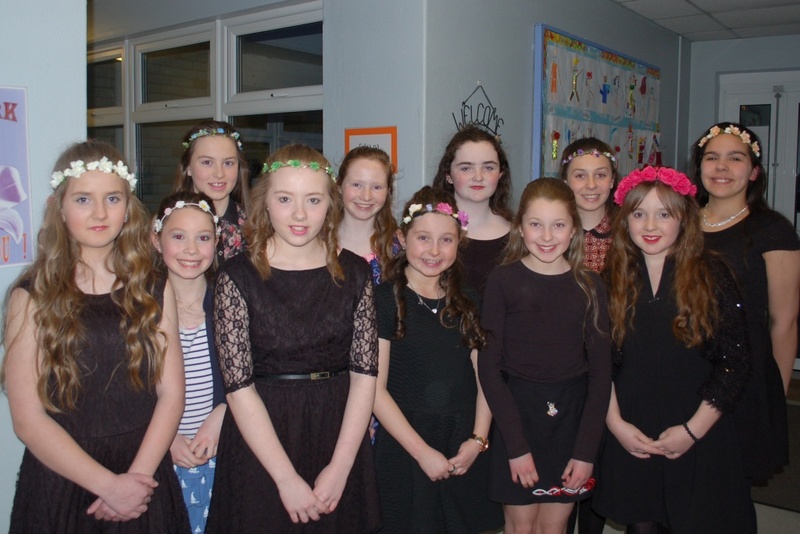 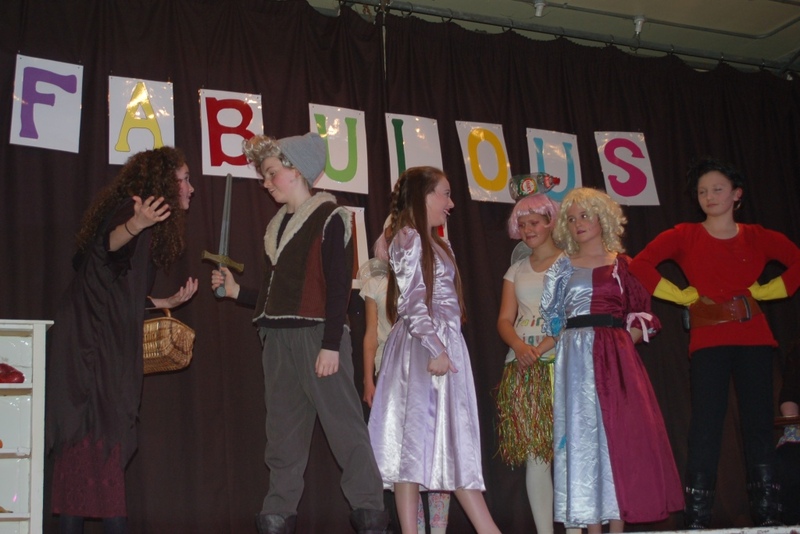 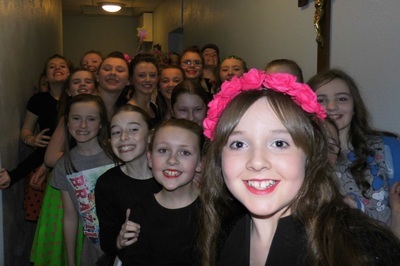 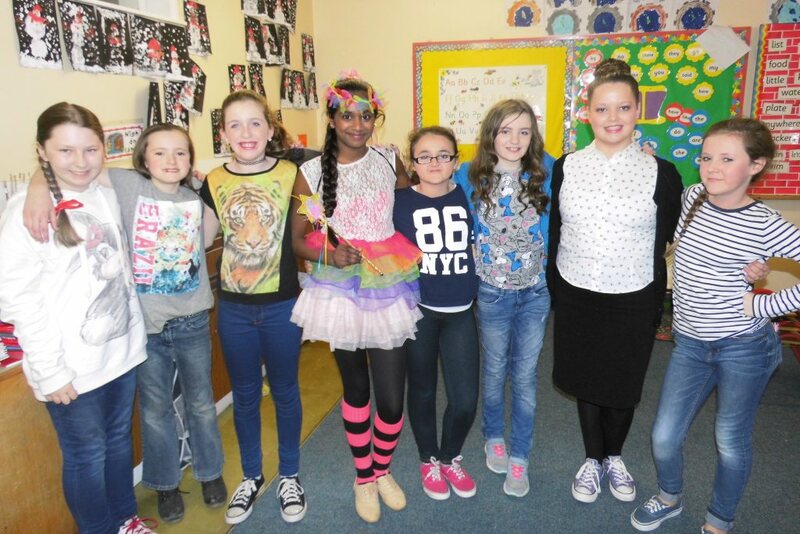 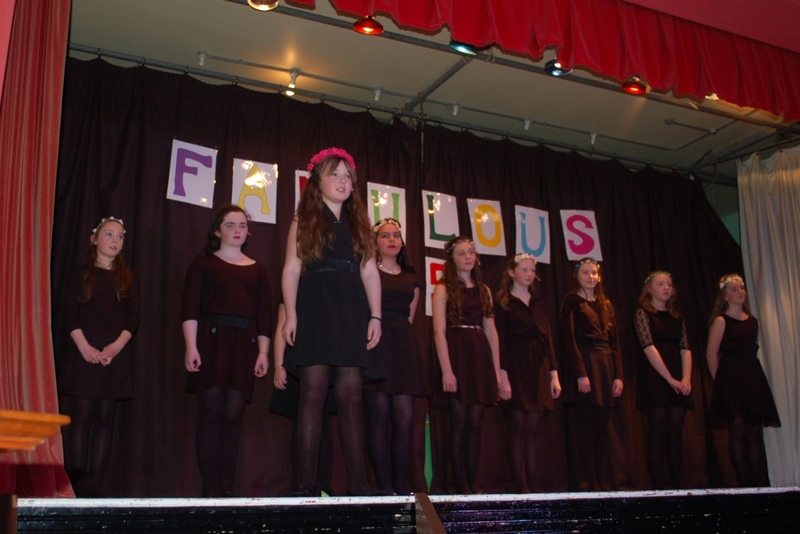 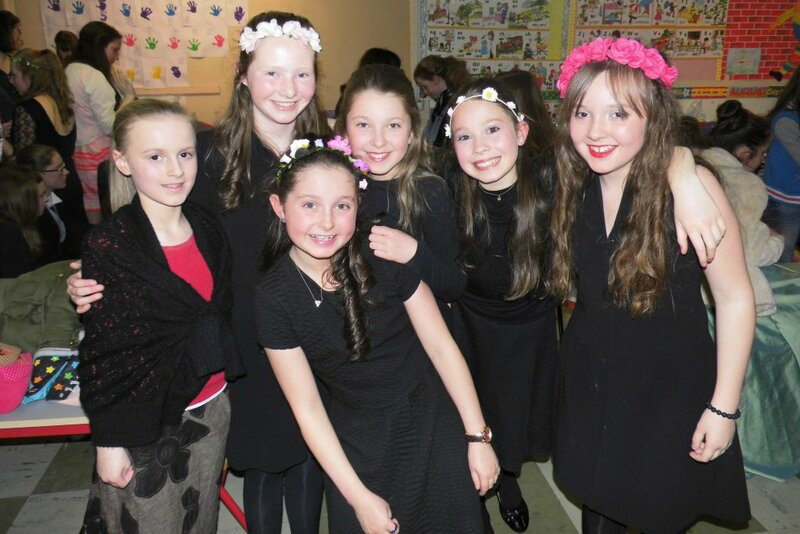 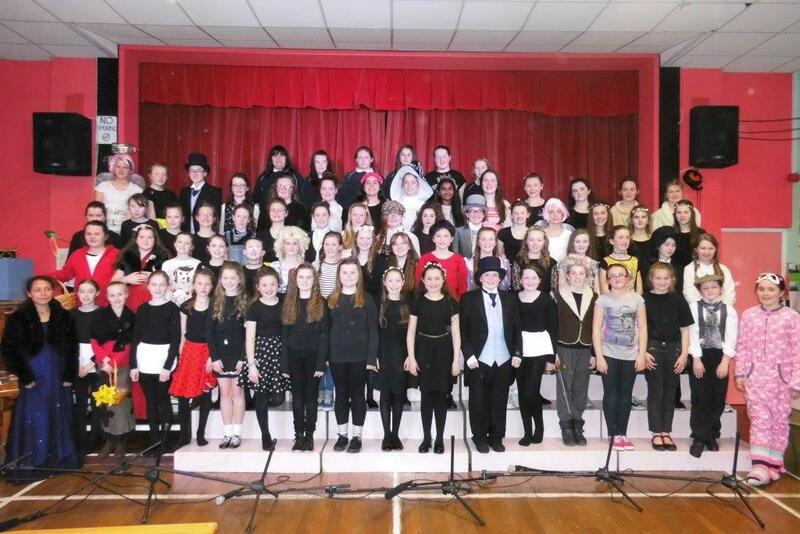 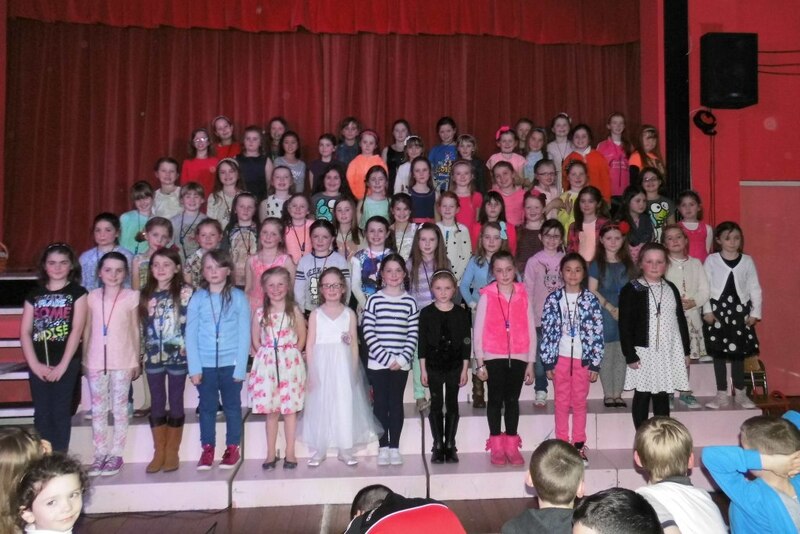 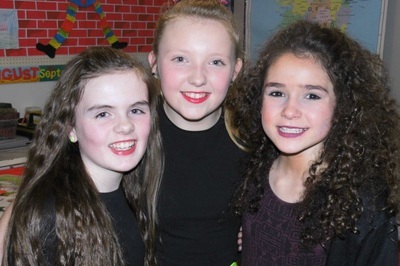 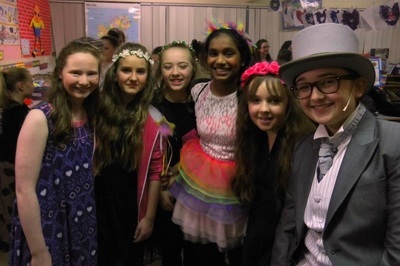 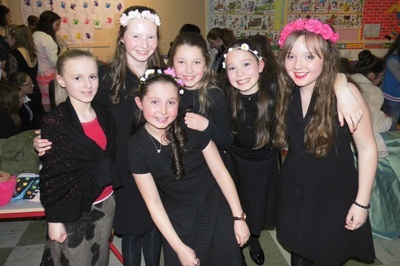 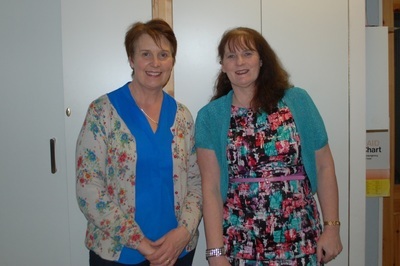 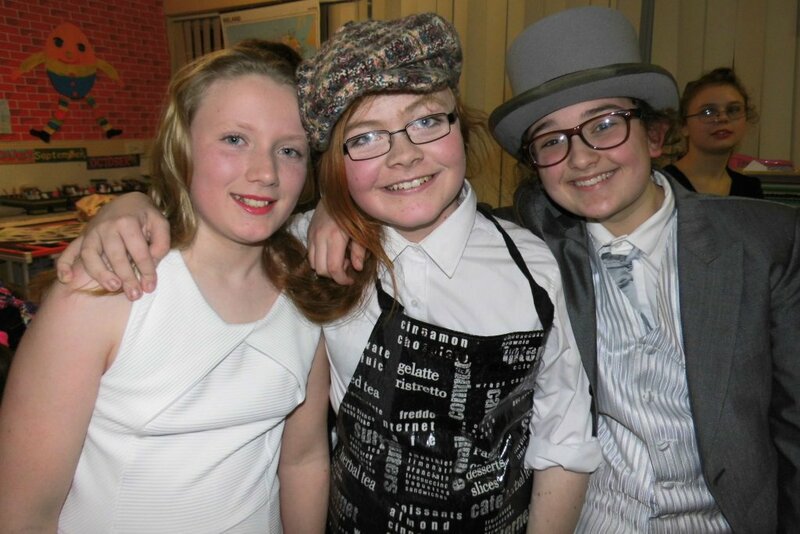 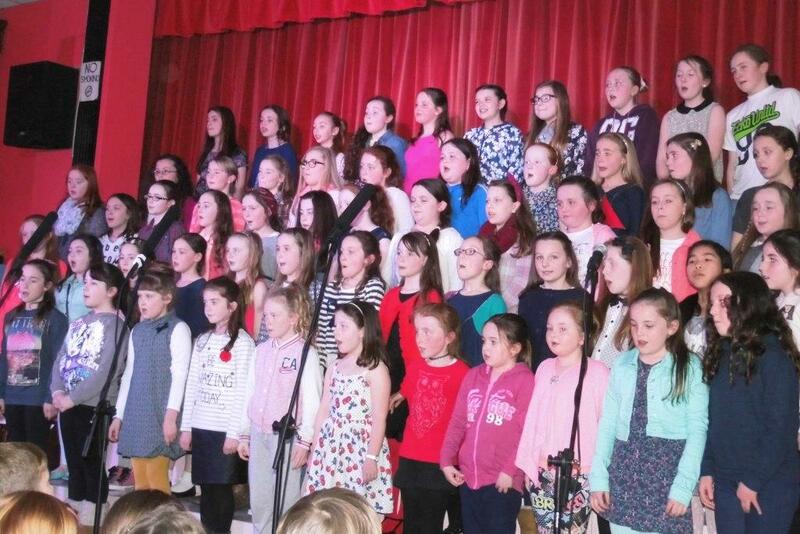 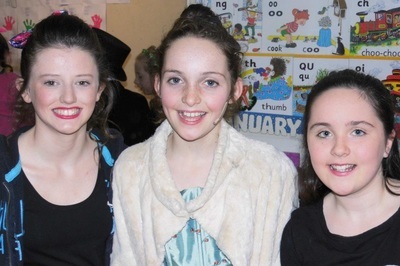 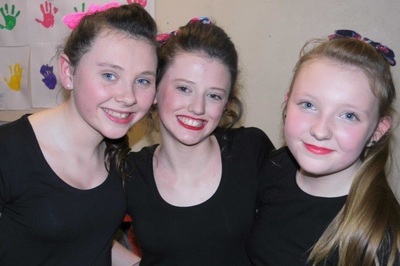 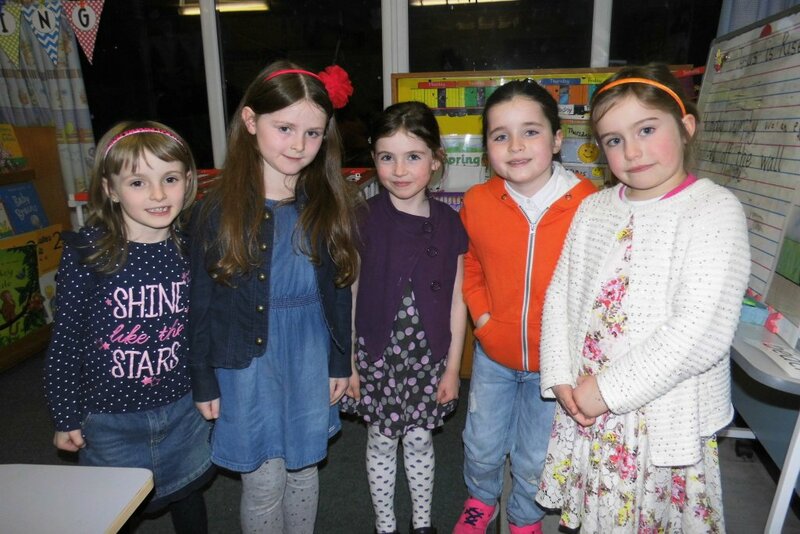 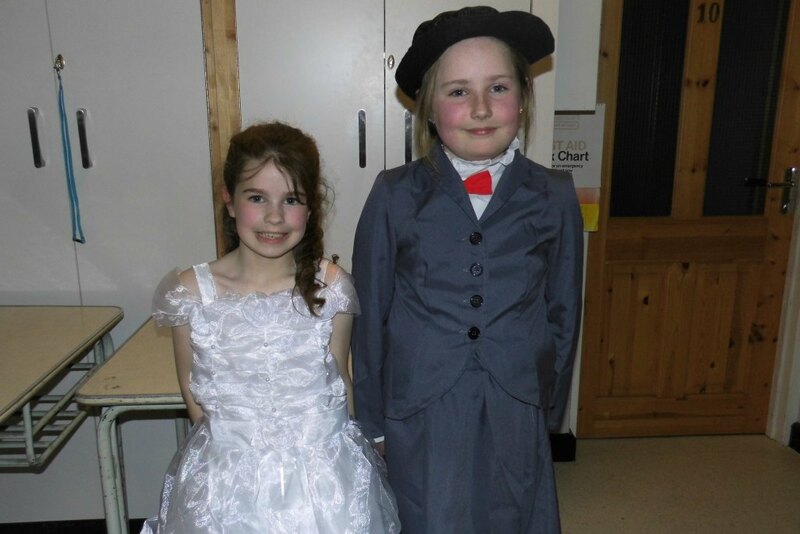 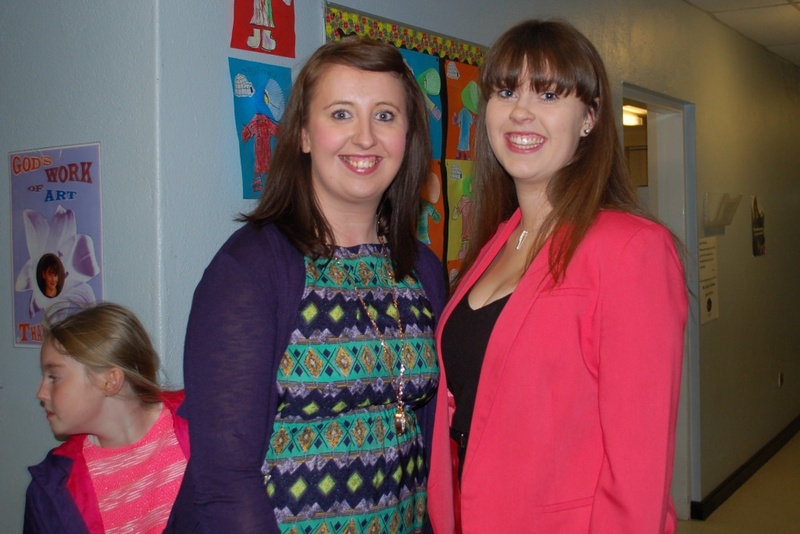 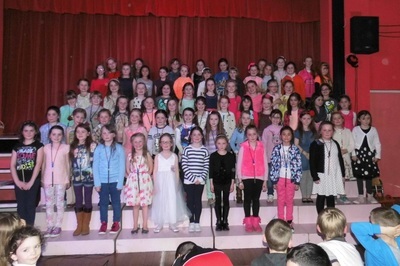 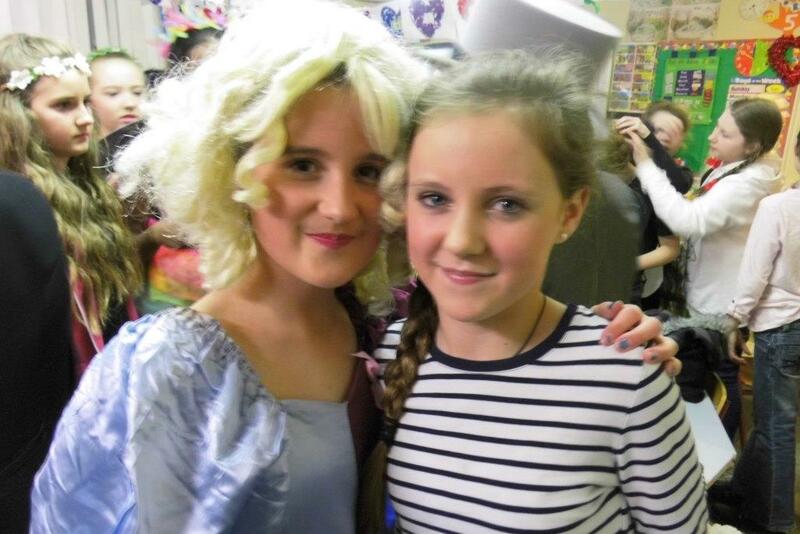 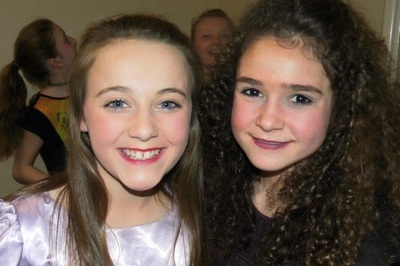 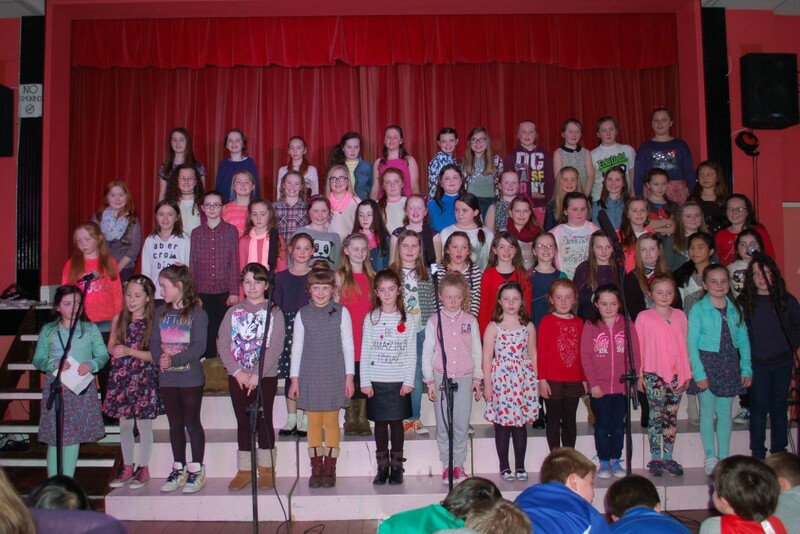 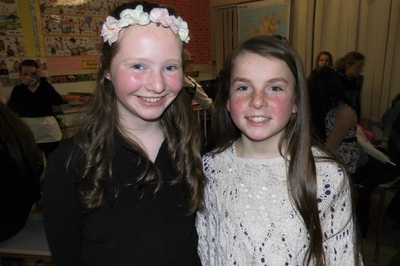 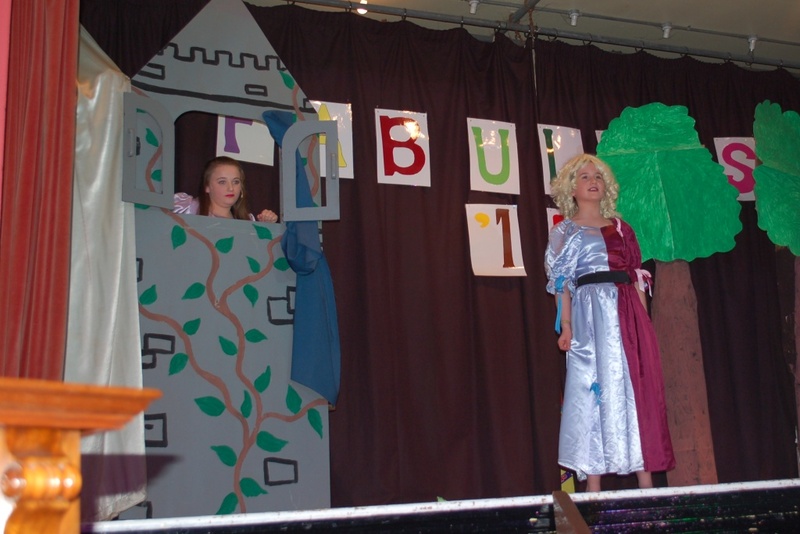 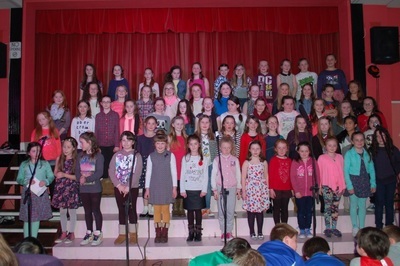 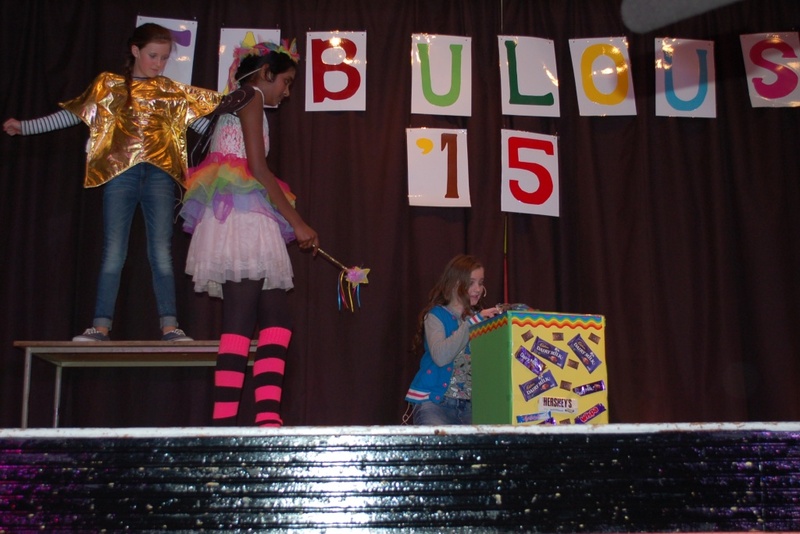 The choir and drama group in Bunscoil na Toirbhirte held their annual Variety Concert over two nights on the 25th and 26th of March, to packed houses. 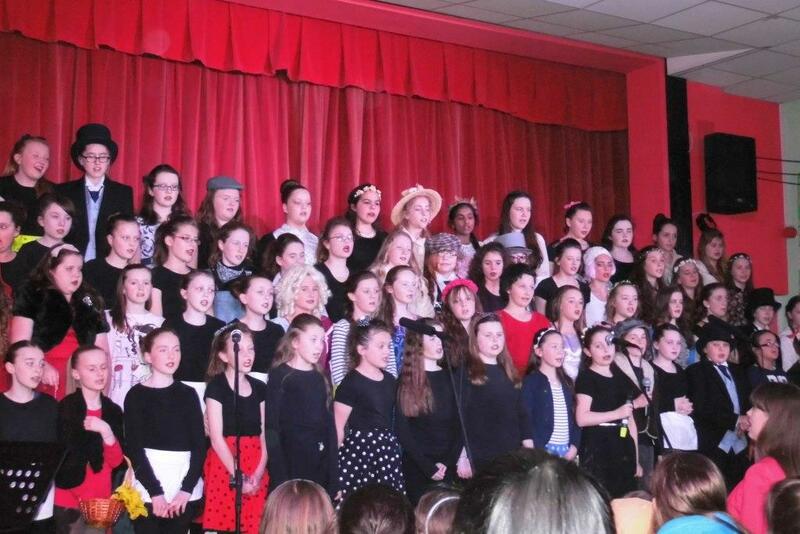 This year the choir and drama group was stronger than ever, with highly motivated fifth and sixth classes giving one hundred per cent to the ten teachers who worked with them after school each Thursday. 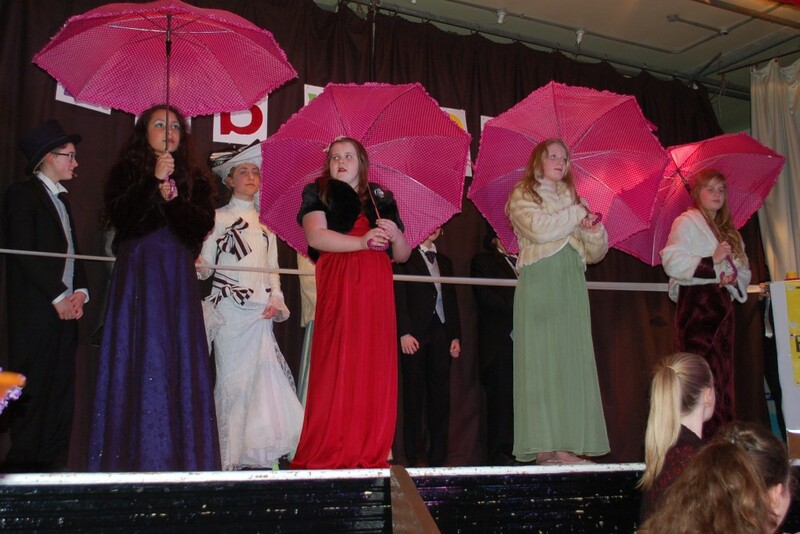 The opening chorus featured “Phil the Fluter’s Ball” by the entire cast and in the final chorus a selection of songs from “My Fair Lady”. 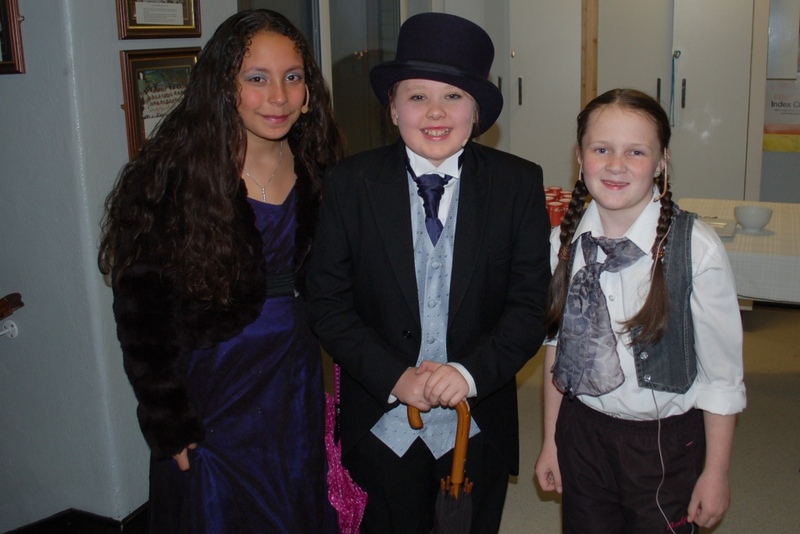 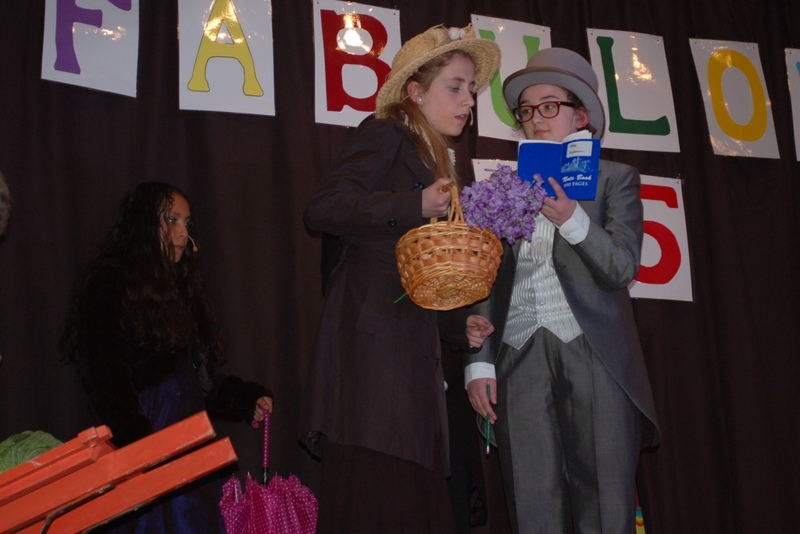 The Variety Concert featured two scenes from My Fair Lady, the market and at the races. 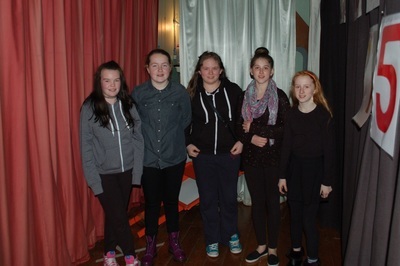 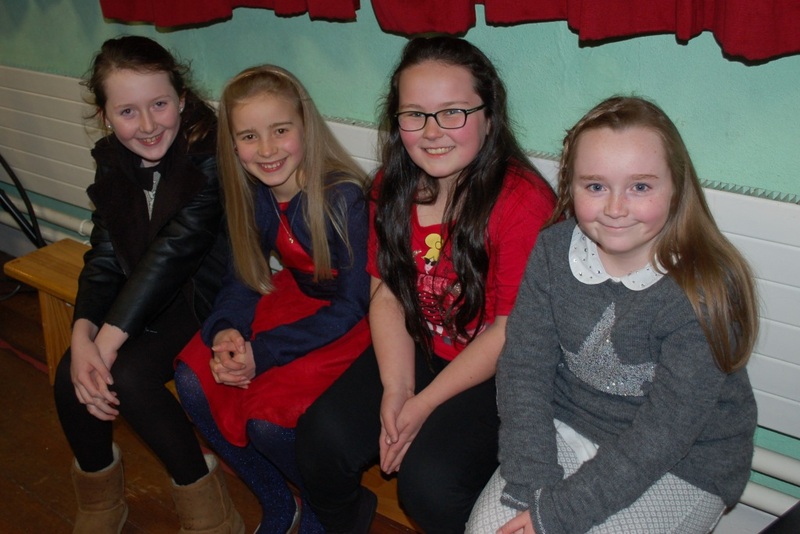 A group of girls from Mitchelstown Junior Comhaltas played a selection of polkas, a mazurka and sang a number of songs. 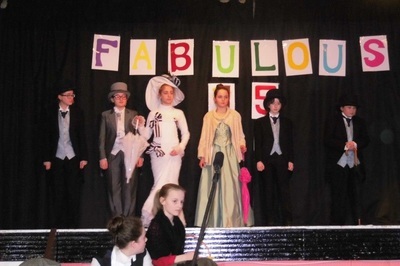 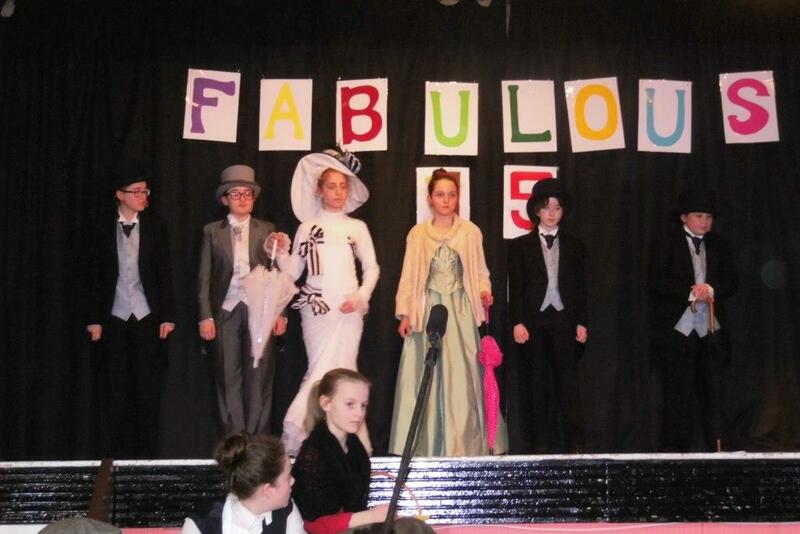 A comic sketch about a group of pupils who wished to change their lives titled “Be Careful What You Wish For” brought the house down and was followed by the “Ascot Gavotte”, the scene from “My Fair Lady” where Eliza Doolittle goes to the races with Professor Higgins, pretending to be a lady. 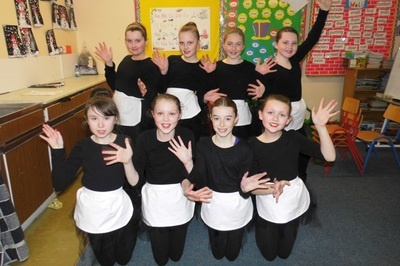 In the second part of the show Celtic Girls, performed “Cloud Song”, “Connemara Cradle Song” and “Whispering Hope” in harmony and this act also contained a wonderful display of dancing. 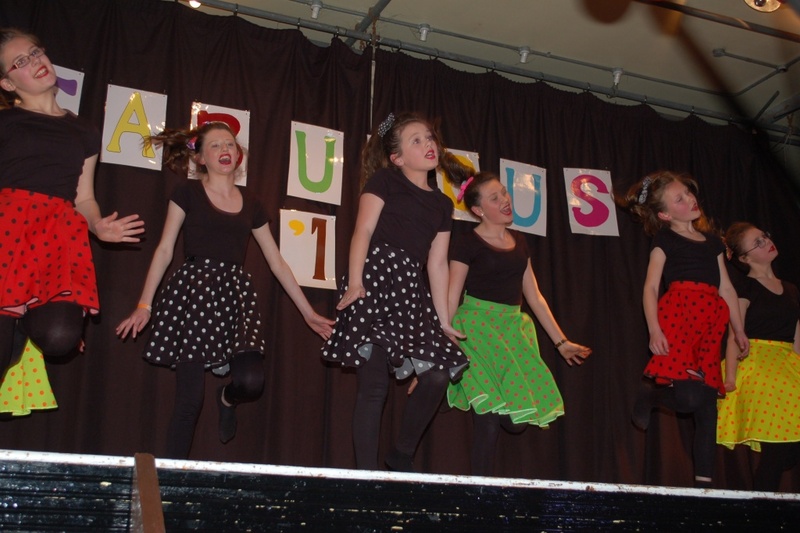 Subsequently, this was followed by a marvellous upbeat dance from “Hairspray” which stunned the audience and got a rapturous reception. 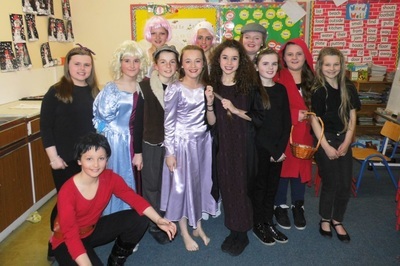 The final sketch of the night was “Disney’s Been Tangled” and featured many strong solo performances, another marvellous choreographed dance to “Be Our Guest” and gave a different spin to many of the usual fairytales, with a surprise ending. 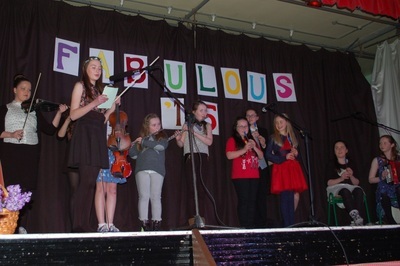 The Variety Show featured many solo performers. 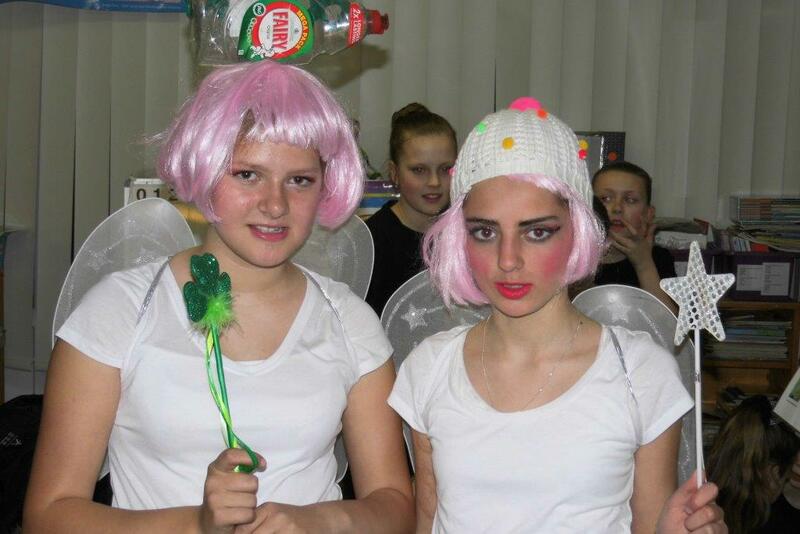 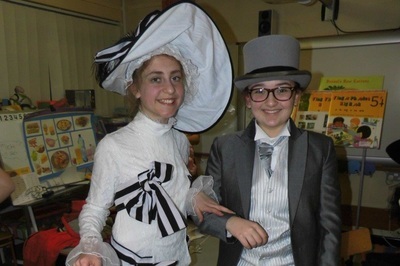 This year a backstage team organised the props and management of the performance under the supervision of two teachers. 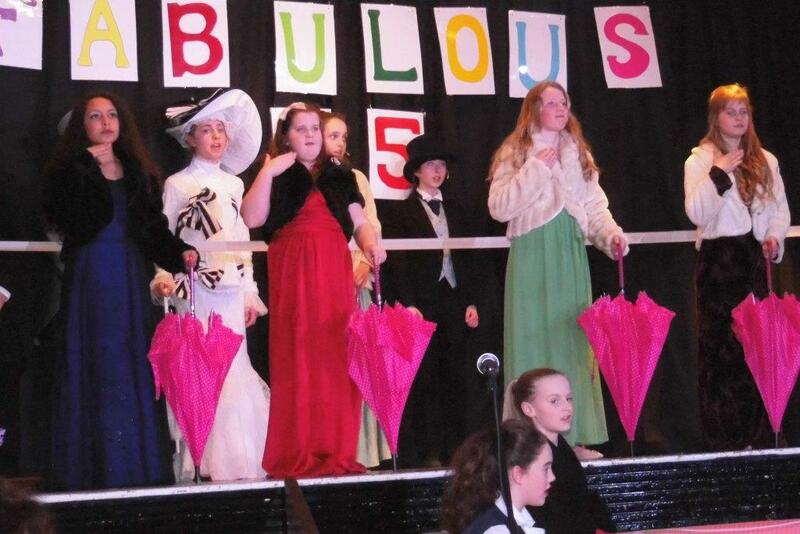 This added greatly to the smooth running of the show. 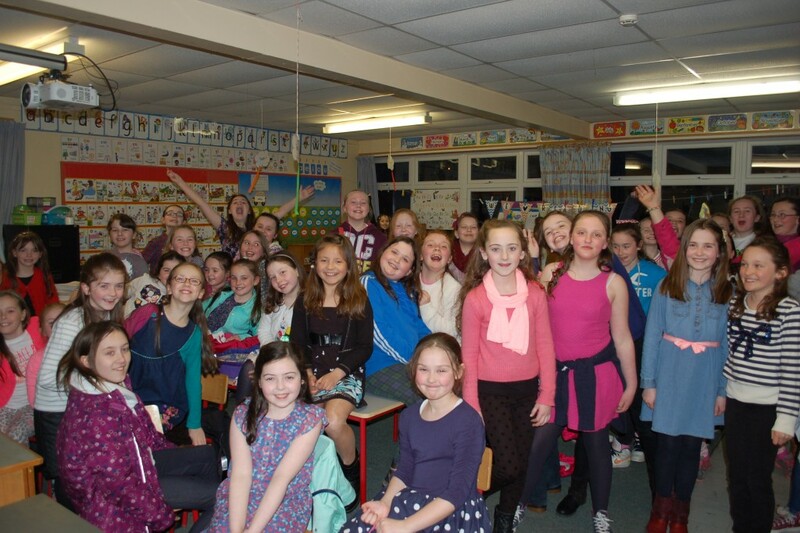 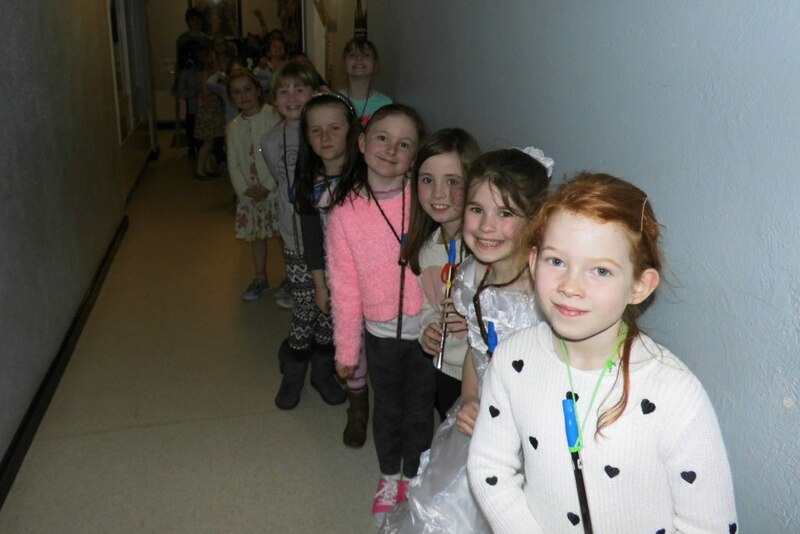 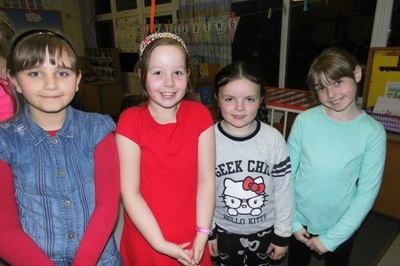 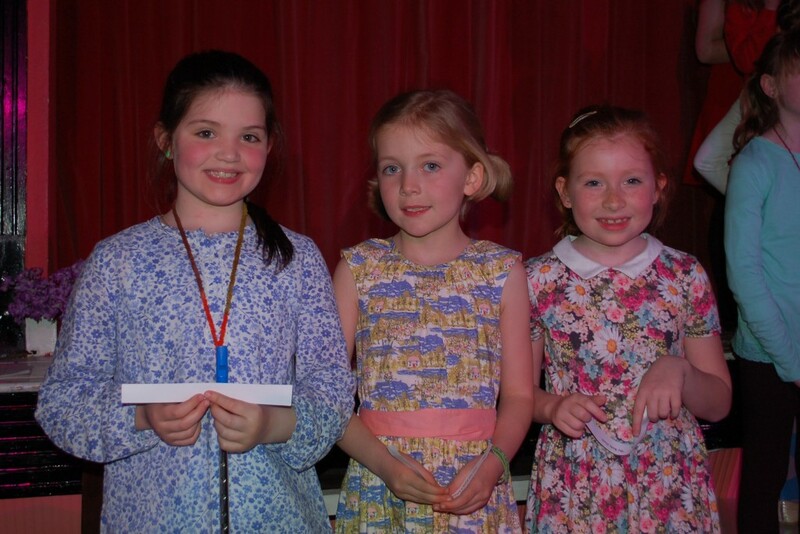 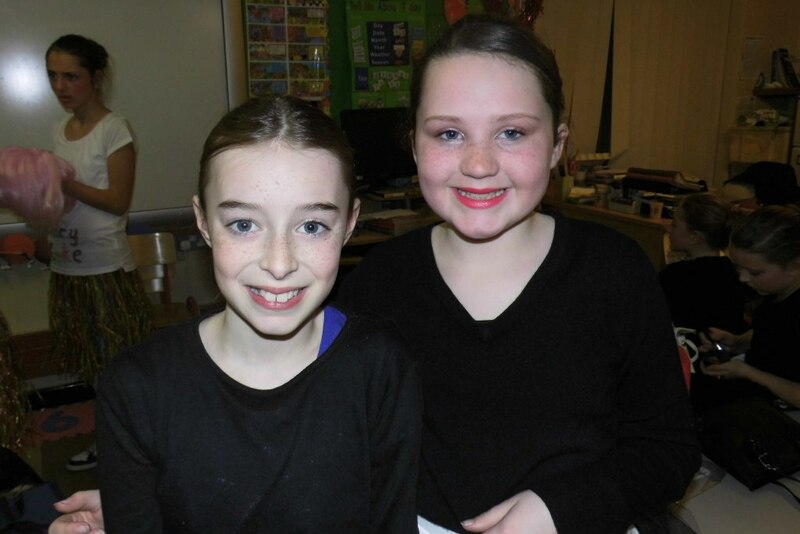 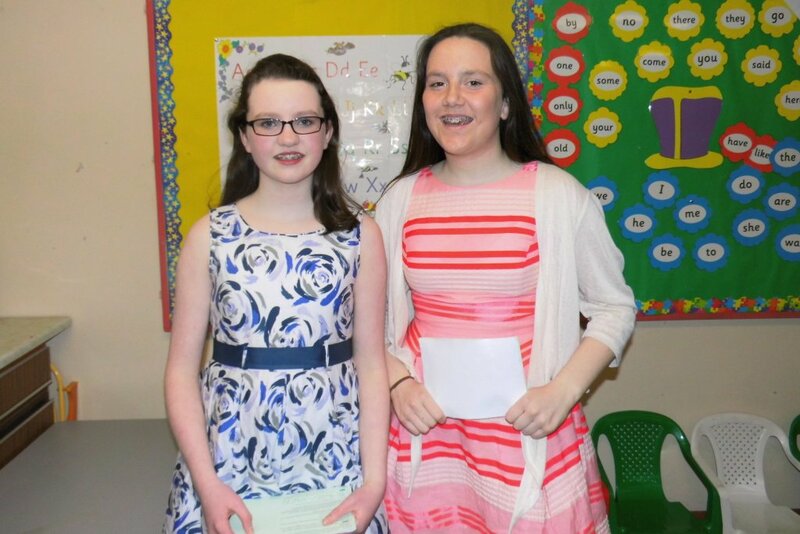 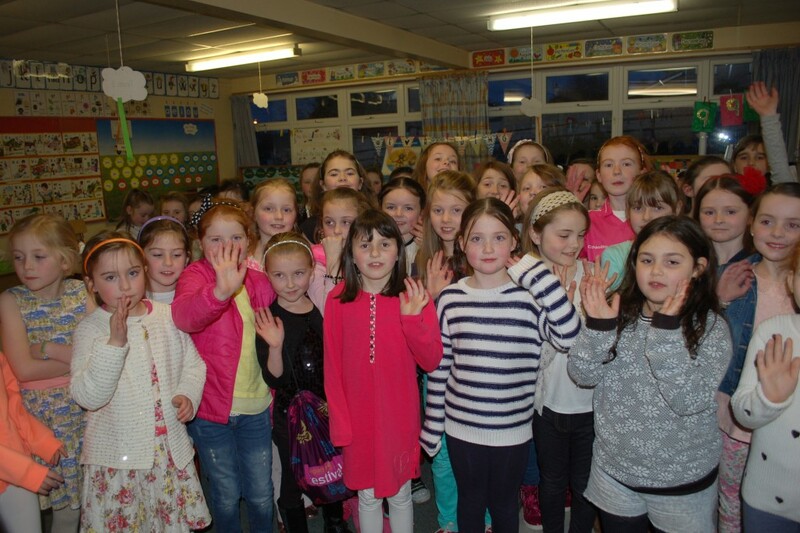 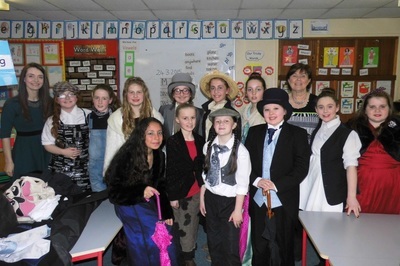 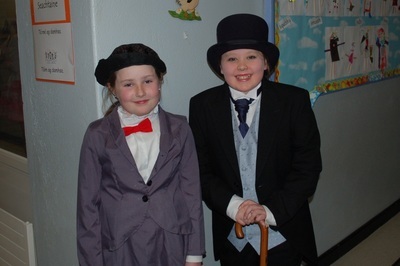 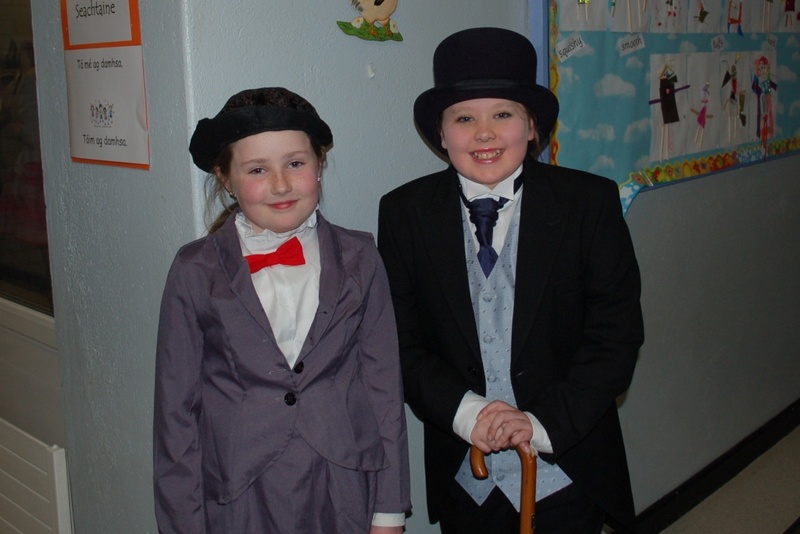 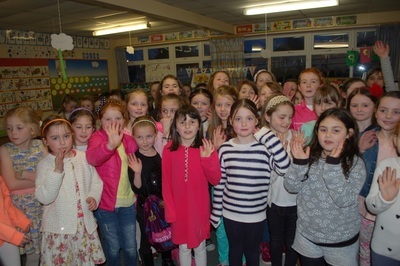 As per tradition, First and Second Class provided the guest appearance on one night and Third and Fourth class on the alternate night, with a wonderful variety of songs, poems and tin-whistle music. 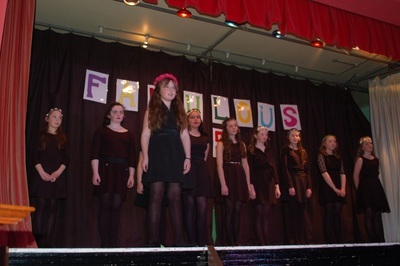 This meant that every child in the school was given an opportunity to perform on stage during this school year, as the five infant classes had performed Nativity plays prior to Christmas. 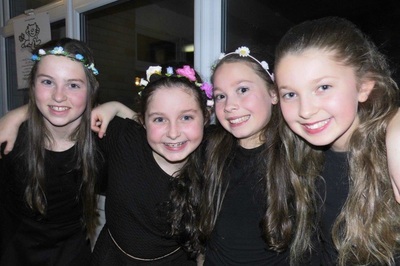 Take a look at a selection of photographs taken over the two night.